steel strapping. Sealer closes the metal seal firmly around the strapping and with its double notch action secures it tightly around your pallet, crate or case. 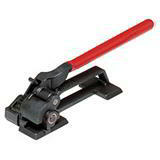 This economical steel strapping tool is suitable for heavy duty use and is an essential item for any warehouse. 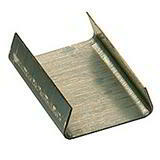 Ideal for export shipping and sealing steel strapping around plywood cases, bundles and heavy pallets. 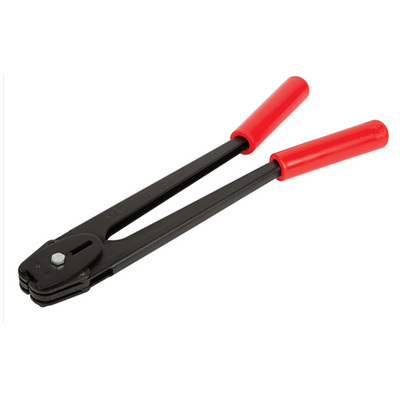 When ordering, choose 13mm, 16mm or 19mm model to suit the size of your steel strapping. Order online or give us a call if you need advice. With over 40 years packaging experience, and a comprehensive range of stock strapping tools, we'll help you make the ideal choice. 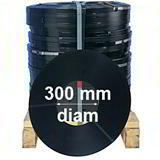 And seal with our Snap-On Metal Seals ref:GSMS13, GSMS16 or GSMS/19.